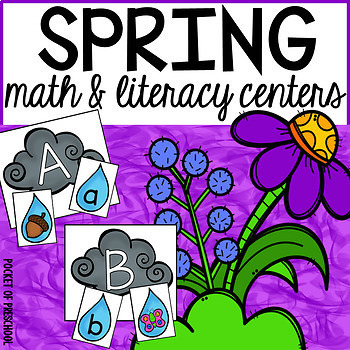 Spring activities and centers are loaded with fun, spring activities to help your students build math and literacy concepts! 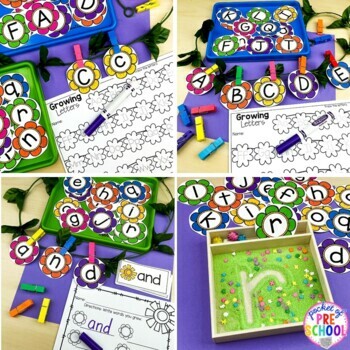 Literacy skills covered are letter identification, letter formation, beginning sounds, rhyming, syllables, sight words, vocabulary, and writing/journaling. 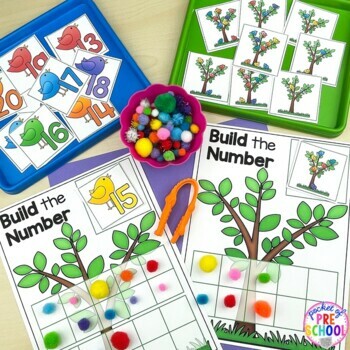 Math skills cover are one to one correspondence, counting, addition, patterns, number identification, and more/less. Most spring activities have a page of teacher tips to help you create the activity easily and ensure it will go smoothly. You can use these activities as arrival activities, center activities, small group instruction, and share during circle. These activities are designed for preschool, pre-k, or kindergarten. Take the spring theme into the dramatic play center with Flower Shop and Garden Shop Dramatic Play. 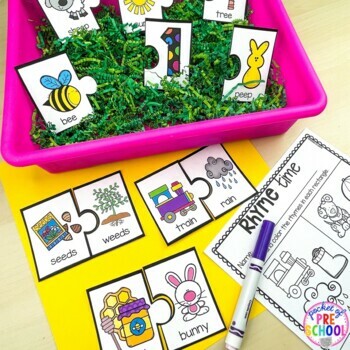 Check out more SEASONS math and literacy centers! Check out the Themed math and literacy centers! To purchase additional licenses select to purchased additional licenses at checkout or go to “my purchases”, select the item, and click “buy additional licenses”. Did you know there are TPT School Accounts? Tell your administrator and ask your school to purchase this for your classroom.